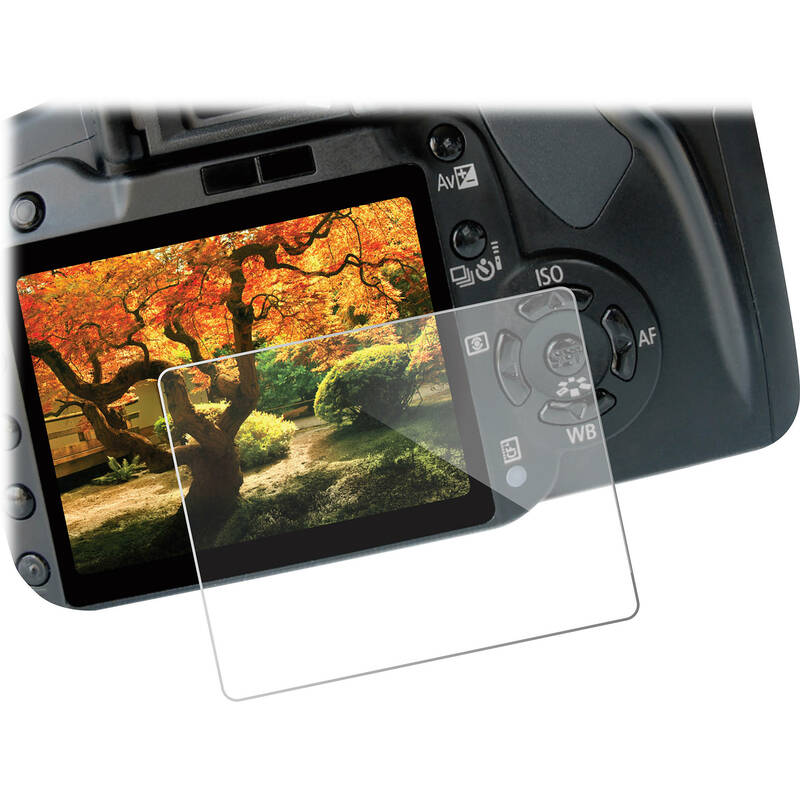 This LCD Screen Protector Ultra from Vello is a sheet of ultra-thin (0.02") optical glass used to safeguard the LCD monitor of the Canon EOS M5 and Fujifilm X-A10. It easily adheres to the screen via static, without trapping air bubbles, and if removed, won't leave a sticky residue behind. Multiple layers of protective material shield your display from dirt, scratches, sweat, smears, and light impact. The shatter-proof glass blocks UV rays while allowing visible light in. Additionally, the protector enables touchscreen operation. It can be easily cleaned using the supplied microfiber cloth and wet wipe.